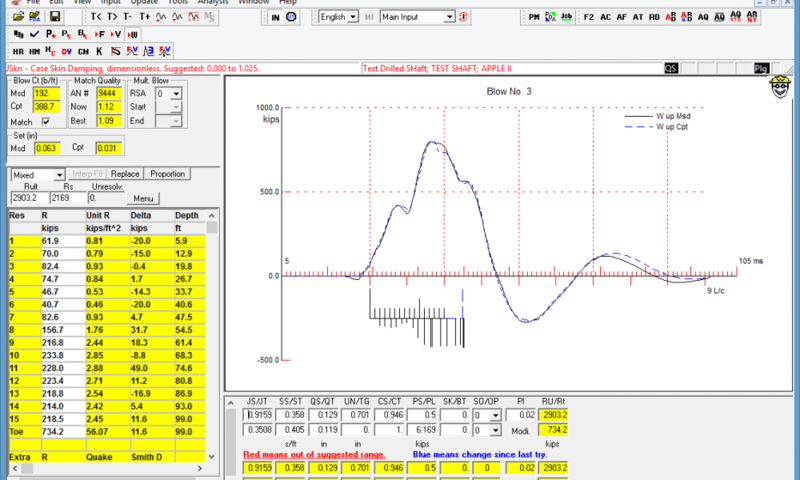 CAPWAP® (Case Pile Wave Analysis Program) is the industry state-of-practice tool to establish the pile capacity, and estimates total bearing capacity of a pile or shaft, as well as resistance distribution along the shaft and at the toe. 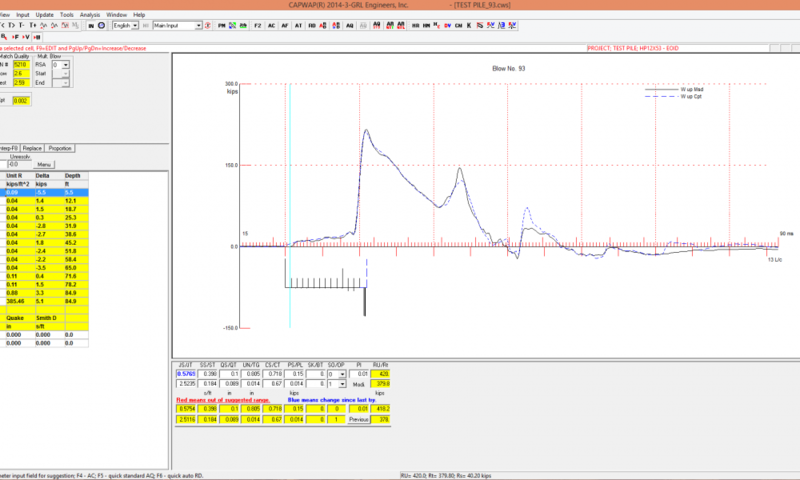 The software program takes the force and velocity data obtained with a Pile Driving Analyzer ® (PDA) system as input, and it is essential to post-process PDA data with CAPWAP for at least one foundation element per job. 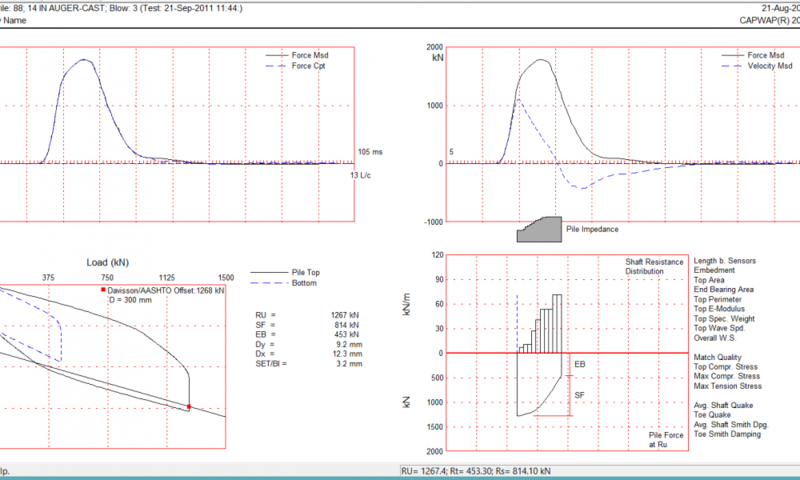 CAPWAP completes the Dynamic Load Testing procedure and simulates a Static Load Test. 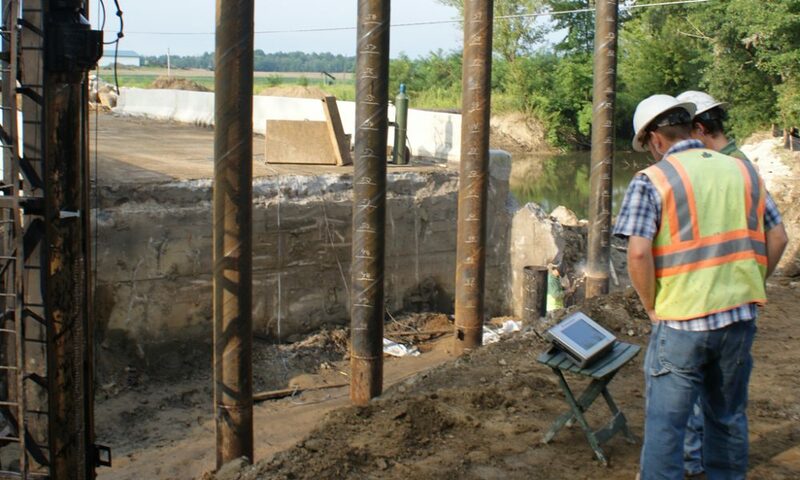 CAPWAP can analyse drilled shafts and other concrete piles, such as variable time increment/wave speed, variable impedance, and area calculations based on field measurements. The program includes a completely automated mode as well as adjustable parameters with which the user can systematically improve calculated results.